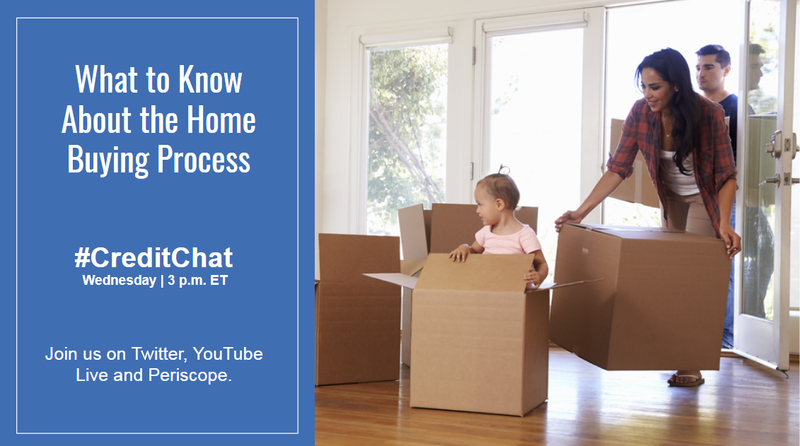 I was recently invited by Experian to attend their #CreditChat on Twitter to answers some of the top burning questions for the Millenial First Time Home Buyers. Here are the 11 questions and my answers. Q1: What are some important things millennials should keep in mind before they begin the homebuying process? A1: If you think your job is extremely mobile and/or your income uncertain, you shouldn’t be buying a home yet. If renting offers the flexibility like dating, home buying requires the commitment of being married. So, home buying is as much a mental commitment as a financial one. As and when you move forward, get the “perfect dream home” illusion out of your head. There is a rarely a starter home that meets that description, so be willing to compromise. Q2: What are some simple ways to figure out how much house you can afford? Any additional home-related costs you should factor in? A2: The easiest way to figure this out is by calculating the debt-to-income ratio. Your monthly obligation to current debt and future housing income should not exceed 43%-45% of your income. You can use an online mortgage calculator to calculate the mortgage payment. Note that housing expense includes non-mortgage payment like property tax, home insurance, and HOA dues. For budgeting purposes, you should also consider additional costs like home warranty, maintenance, and repairs. Q3: How can you make sure your financials are in order for your big purchase? A3: The problem is that a home buyer may not know what kind of savings or reserves they need for buying a home. You should consult with a mortgage lender well in advance to prepare for this big purchase. He/she should be able to answer those Qs for you which in turn will help you work towards it. In some cases, it may require budgeting or cutting costs from other discretionary expenses. It may also happen that you are already able to buy a home and you didn’t even realize it. Q4: How should you manage your credit prior to applying for a mortgage? How should you address any credit issues? A4: The first step is to have the knowledge about what really impact credit score (https://www.mortgageblog.com/five-factors-of-credit-scoring/). There is so much misinformation and confusion about that. In my book “My First Home” I dedicated a full chapter on this topic. Once you find out what does and doesn’t impact your credit score, it’s much easier to manage it. Few quick tips – Don’t apply or get too many debts, Make your payments on time and in full, and keep the spends on your credit cards to as little as possible. And always consult your lender before trying to fix something on your credit. Q5: How can you determine the types of loans and programs you may qualify for as a millennial? A5: There are several loan options available with <5% down payment. Work with mortgage lender/broker that offers a variety of loan programs suitable for first-time buyers. Also, ask them about down payment assistance programs that may be available. A6: Pre-qualification is simply providing you with a loan qualification amount based on income, debt and asset numbers provided by you. Pre-approval, on the other hand, is a comprehensive review of all credit qualification parameters by evaluating your income/asset docs and supported by a credit pull. If the pre-approval is done with proper due-diligence, you are almost guaranteed a loan approval if you keep everything as-is. Q7: What steps can you take if you are unable to qualify for a loan with the best rates and terms right now? A7: I usually don’t recommend waiting for things to get better because of uncertainty around mortgage rates and real estate prices. The better way typically is to get into a home with the current terms (if you are comfortable with the payments) and work towards improving your situation so that you can refinance with better terms later. Q8: As a millennial first-time homebuyer, should you consider buying a pre-owned home or new construction? A8: It all depends on personal taste and availability of homes in the neighborhood. Even pre-owned homes can be in a great shape. Don’t limit your options unless you have visited several homes and figured out what works best in your price range. A good real estate agent will be of much help with this decision. Q9: How can you properly evaluate different neighborhoods to buy in? A9: When evaluating the neighborhoods, look for things you “must-have” vs things that are good to have. Must-haves could be proximity to public transportation and low crime rates. Good to haves could be the presence of biking trails. If you can find a neighborhood that provides everything you must have, for a starter home don’t sweat so much about good to haves. A10: Home Inspection is done to find the condition of the basic infrastructure of the home like plumbing, electricity, etc. Home appraisal, on the other hand, is required by the lender to find out about the fair market value of the property, based on which they can lend you the money. Q11: Any final tips for a millennial starting the homebuying process? A11: Don’t make the mistake of looking at shiny homes (online or offline) unless you have had an opportunity to discuss your financials and loan prospects with a mortgage lender. This should always be your first step. Do the boring but important financial prep work before you get to do the fun stuff of looking at homes.